In New Jersey, when you leave the scene of an accident and you are charged with that offense, the penalties are quite severe. 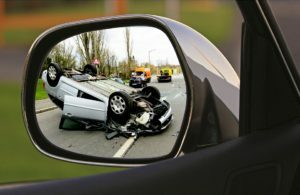 If there is personal injury, you’re risking jail and loss of your license for up to one year for a first offense and a permanent loss of your license for a second or subsequent offense. In addition, you will receive 8 points on your license if you leave the scene of an accident when there is an instance of personal injury. You will be fined an additional surcharge of $150 if you acquire 6 or more points over the last three years. There is also an additional charge of $25 for every other point after you have received 6 points. So, if you leave the scene of an accident and receive 8 points, you will owe $200 in surcharges each year, and that’s assuming you don’t have any other points on your license already. If you leave the scene of an accident with property damage only, you’re still risking a high fine and loss of your driving privileges for six months. If you leave the scene of an accident and there is no personal injury, just property damage, you will receive two points on your license. However, an attorney with experience in these situations can go into court with you and create some defenses for you that maybe will lessen your charges. If you are in need of experienced legal counsel in New Jersey, please contact The Law Office of Andrew S. Maze for any criminal and personal injury matters. © 2019 The Law Office of Andrew S. Maze. All Rights Reserved. Website built and managed by Accel Marketing Solutions, Inc.